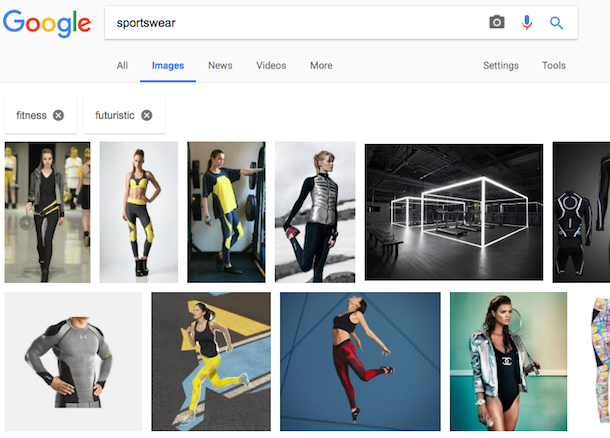 Google Image Search has a different way to display suggestions: it now shows a long list of colorful boxes with related searches. 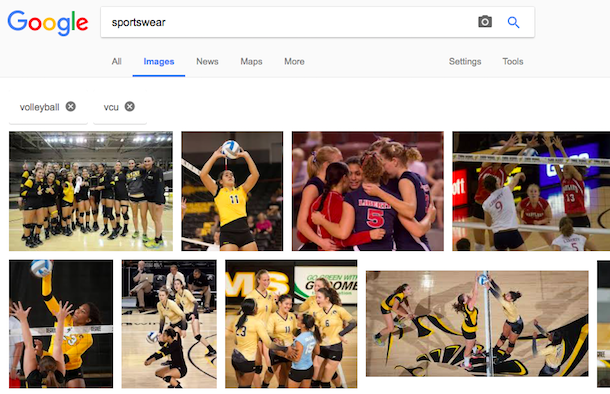 You can click one or more boxes to dynamically refine search results. 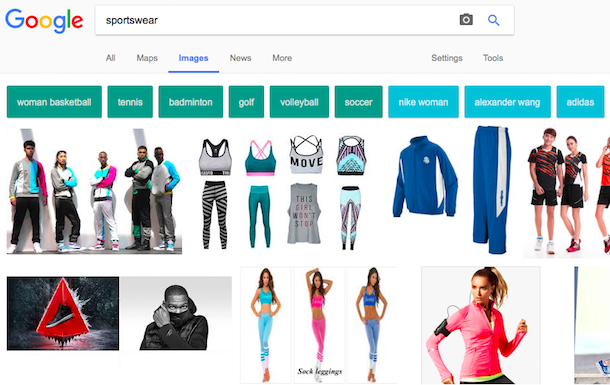 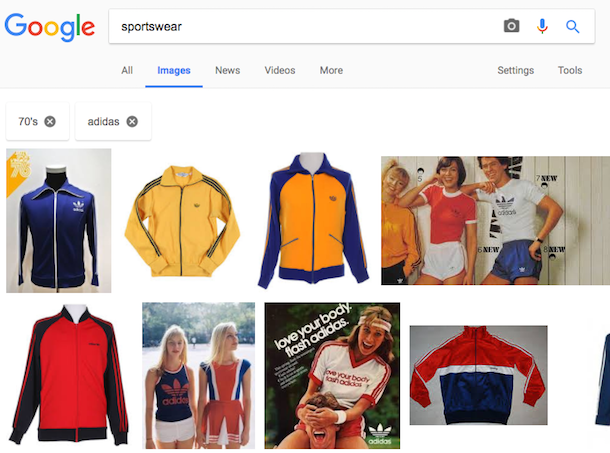 For example, when searching for [sportswear], Google shows suggestions like: [women basketball], [tennis], [badminton], [golf], [volleyball], [nike woman], [alexander wang], [adidas], [fashion], [performance], [vintage], [trendy], [urban], [school], [gym], [90’s], [70’s], [vogue], [luxe], [avant garde], [korean], [italian], [french] and more. 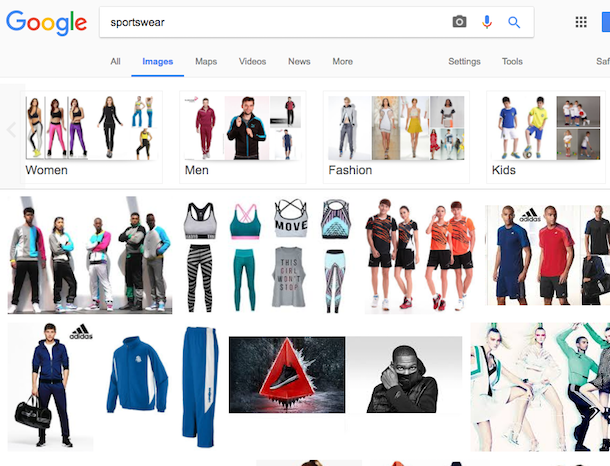 It’s interesting to notice that each category of suggestions has a different color.